We all appreciate when our content marketing efforts earn kudos from our audiences. But for marketing agencies, recognition from the public and their peers is their bread and butter – winning an award can mean a higher profile for the portfolio of work, greater awareness and interest among potential clients, and maybe an increased chance of winning more business. Dozens of agencies submitted entries to the 2016 Content Marketing Awards, resulting in 10 nominees for Agency of the Year and two winners – C3 Creative Code & Content GmbH in the large agency category, and Velocity in the small/medium-sized agency category. Multiple other agencies won awards in individual categories. What does it take for agencies to create standout work worthy of being recognized by their content marketing peers? Take a look at some of the most acclaimed agency efforts from the field of winners and finalists and what made them stand out, along with some takeaways that brands and agencies alike can use to stay on par with some killer content competition. Velocity was challenged by Xerox to create and execute on a global content strategy that would unite five key lines of Xerox’s business, increase traffic to its services pages, and provide value to its various audiences – all in just eight weeks. 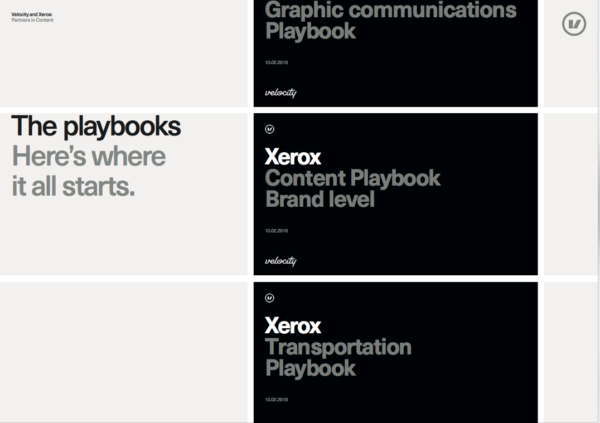 The intense, ambitious project succeeded brilliantly thanks to Velocity’s agile, fast-track process that leveraged Xerox experts for intensive input, created a Minimum Viable Playbook (see below) to govern the brand’s content, and iterated on that plan to produce content suitable for each line of business. All in all, the agency produced 65 thought leadership content pieces – including e-books (you can view a sample here), SlideShare decks, web articles, and infographics – which contributed to significant gains in Xerox’s marketing performance, including a 23% increase in U.S. web traffic, 88% increase in download conversion rate, and a 102% increase in content-driven social traffic. Takeaway: Set the stage for a successful collaboration with a documented content marketing strategy. Velocity’s Agile approach required considerable input from the client’s stakeholders every step of the way. The agency’s central team began the journey by running content marketing workshops that prepared everyone for the project and secured the necessary buy-in. Equally critical to the project’s potential for success was ensuring that content for each of the distinct business units could be integrated seamlessly into the website without losing its value or relevance to the various personas. By developing and documenting the strategic vision, goals, and editorial guidelines in the form of a shareable playbook, the agency did itself a solid: Not only did everybody working on the project clearly understand what was expected of them, they had a blueprint to govern their decision-making and streamline their processes for optimal efficiency and consistent quality. 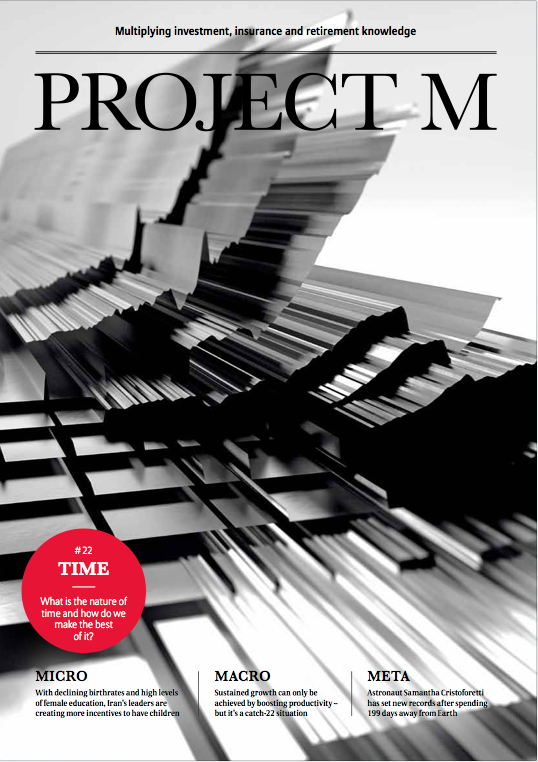 Allianz SE is a leading voice in the field of pensions, and its Project M magazine serves as a key platform for expert knowledge in the fields of asset management, life insurance, and retirement provision. Pensions is a topic many would consider uninspiring, which is why the first-class journalism inside every issue of Project M is remarkable. The publication examines relevant business subjects from micro, macro, and meta perspectives, with articles written by famous journalists, academics, and experts. The Content Marketing Award judges noted that its rich and modern cover design projects an authoritative air of wealth and intelligence, and offered strong kudos for the publication’s ambitious aim of encouraging readers to come to their own conclusions on the broader societal implications of their investment choices. Takeaway: Don’t be afraid to challenge perceptions of your industry. Way back in 2013, Joe Pulizzi stressed that content marketers need to get past their fear of taking sides if they want to create epic content. This advice is even more critical today, as it’s become increasingly difficult for organizations to distinguish themselves from the competition in some way. Taking a stance – even if it may be a controversial one – is a great way to produce an emotional response in your readers, and may even inspire them to join in the debate themselves, giving them an extra incentive to share your content with their personal networks. Marcus Thomas’ client, Momentive, is a global leader in silicone caulks and sealants, manufactured under the GE name. It’s about as dry (literally and figuratively) a topic as you can possibly have to generate excitement; yet the agency rose to the occasion with an integrated platform of micro-targeted content and advertising aimed at clearing customers’ confusion and ensuring that they find the best materials for their renovation task whether searching online or shopping in the aisles of their favorite home-improvement store. 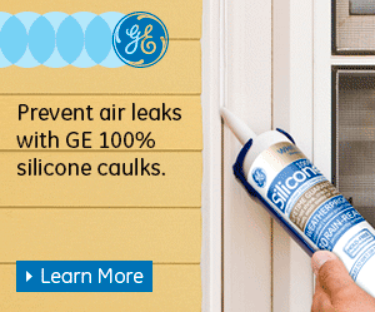 The agency created project-specific content focused on prime caulking situations – window and door installations, kitchen and bath remodeling, and home weatherization. The informative content was prepared in mobile and desktop formats, distributed using social posts, banners, search, and landing pages, and supported with data-driven search ads, as well as micro-targeted mobile campaigns that helped in-store consumers make sense of the choices they found on the shelves. Takeaway: Capture interest by providing real-world utility. Marcus Thomas made a smart decision to create helpful content that would appeal to the DIY crowd, as these enthusiasts often rely on advice they find online to make sure they achieve the best results when they take on a new project. By supplying consumers with practical, actionable advice and instruction, Momentum increased its credibility and authority as a trusted home-improvement partner. Furthermore, by incorporating tools that make it easier to manage the in-store purchase process, it earned trust that is bound to pay off when it’s time to purchase sealant products for their next project. Content marketing expert Jay Baer refers to this type of content as “Youtility” – content so useful that your prospects and customers would want to pay for it even though it’s available for free. 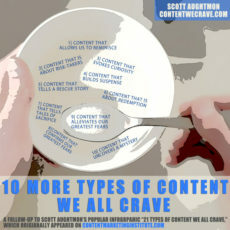 Of course, it’s not always easy to determine what practical needs your content should address. While Jay recommends mining data from search engine queries, social media chatter, and web analytics for clues as to what your customers will find most useful, he contends that the surest way to get answers is to reach out and ask them directly using your online and offline outreach channels. Another integration project worth mentioning came from Meredith Accelerated Marketing (MXM), which successfully delivered content across every conceivable distribution channel (including print, email, mobile, video, and web) while forging an engaging and value-driven connection with consumers who are passionate about home décor and DIY ingenuity. One example is the At Home with Copper content MXM created for Lowe’s Creative Ideas-spring 2016. 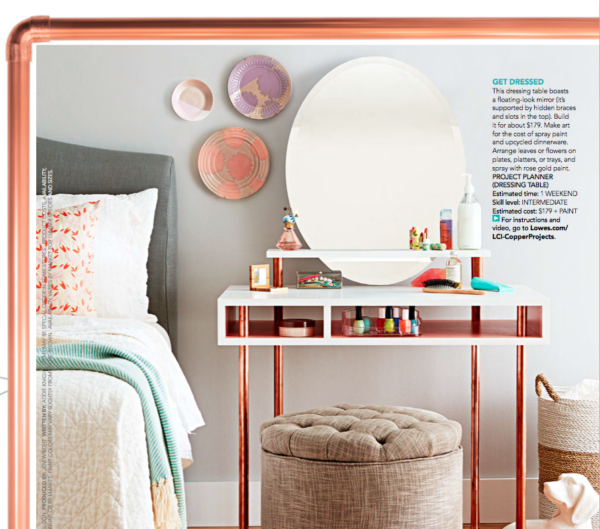 The print magazine includes beautiful imagery on using the copper-pipe products available at Lowe’s to produce on-trend décor, while full project material lists, assembly instructions, video tutorials, and how-to tips were shared on the Lowe’s website, app, and e-newsletters. Through this immersive, 360-degree content experience, MXM provided consumers with compelling reasons to spend their home improvement money at Lowe’s, project ideas to inspire them to action, and the tools and confidence they need to complete the job successfully. 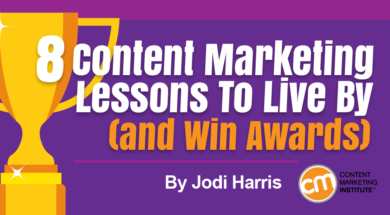 Takeaway: Maximize content impact with a COPE strategy. Delivering an immersive, multichannel experience is a powerful way to engage your audience on their terms. But creating enough quality content to fill all those channels and ensuring that all efforts align with your business goals can be an intimidating challenge to address – particularly for those with limited content creation resources. Fortunately, by working with a COPE strategy, even a content team of one can efficiently produce a steady stream of content without getting stressed to the point of exhaustion. As Zillow’s content marketing director Stephanie Reid-Simmons explains, COPE stands for “create once, publish everywhere,” and represents a highly sustainable technique of building strong, foundational assets that can be expressed in different forms and easily adapted for use on multiple content channels as part of a single, unified process. Make sure they are substantive: Ask yourself if there’s enough substance to the original story before you decide to extend it to other formats and platforms. Make sure they appeal to your publishing partners: If you want influencers and other professional publishing outlets to help you share your content on their platforms, make sure your assets conform to the quality, topic, and stylistic standards their audiences have come to expect. Take topic cues from your data: Tracking and measuring the performance of all your content may reveal trends and ideas that have a high potential to engage your audience on more than one channel. 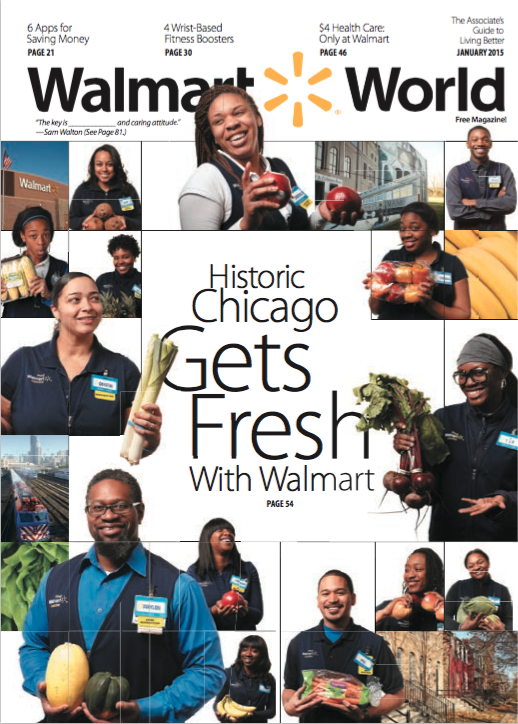 Walmart World is an internal publication tasked with increasing employee engagement, enhancing job success and satisfaction, and building stronger connections among Walmart’s 1.3 million associates across the country. It’s an ambitious aim for any organization (let alone one with such a diverse and dispersed audience base); yet Pace has met the challenge deftly, by empowering the employees themselves to shape the content that gets created and shared. A monthly outreach letter to personnel managers regularly solicits story ideas and submissions from the members of Walmart’s workforce, while an associate expert panel surfaces additional topics, suggests on-the-job tips for increased success, and gathers sources, quotes, and feedback to help ensure that the articles have as wide an appeal as possible. The result is stand-out content that 94% of the company’s employees say they trust, 66% read regularly, and 71% cite as a source of pride in their company, according to a March 2015 research report. Takeaway: Drive enterprise-wide support for content by securing buy-in from team leaders. Walmart World drove a sense of personal investment in its success by involving the company’s associates in the planning and execution of content and providing them with a platform to share their own interests and experiences. As Dan Steiner recently explained, the best way to gain acceptance for an internal program like this is to initiate a dialogue with department leaders, making sure each one understands the benefits of collaborative content and is willing to help drive participation. You may also want to consider rewarding employees for their contributions through perks like bonuses, exclusive event passes, or other means of internal and external recognition. Investment banking is more often associated with concepts like “security,” “responsibility,” or “functionality” than with “creativity” or “visual experience.” However, when it came time to build its mobile app, Fidelity recognized the need to distinguish itself in a crowded marketplace and decided to bet big on the power of technology, innovation, and personalization as a way to realize its content goals. 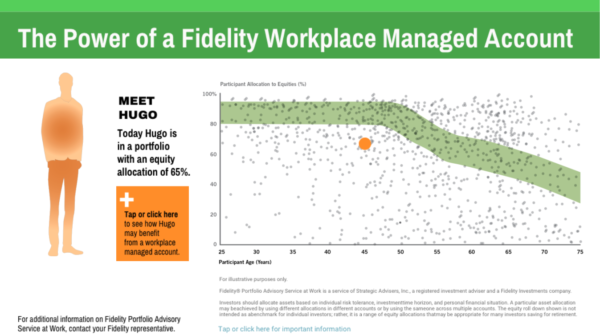 Fidelity teamed up with Imprint to transform its Portfolio Advisement Service (PAS-W) content into a visually compelling in-person experience. At the company’s annual WI Client Conference, a 55-inch touchscreen gave attendees a way to explore a series of unique investment scenarios and learn how Fidelity would evaluate, recommend, and manage a personalized asset allocation strategy for each one. By giving the audience an easy and fun way to interact with financial content in a live setting, Imprint reinforced the firm’s commitment to offer innovative solutions and deliver best-in-class investing education and support. Takeaway: Find a content niche where you can own the conversation. It’s so common for financial institutions to offer online investment tools and other educational content that it’s become nearly impossible for consumers to distinguish one company’s offerings from another. This is a key reason why all brands need to look for a content tilt – an area where little to no competitive content exists, giving the business a fighting chance of getting noticed by its target audience. Your audience: Focus on a very specific reader who is likely underserved by the content in their niche. Your approach: Explore a common challenge from a new angle, communicating in a different tone or experimenting with a new content format. Your platform: If all your competitors have a blog, create a podcast, publish a print magazine, or embrace an emerging technology like virtual reality. As northern Europe’s largest dairy producer, Arla Foods is greatly concerned with demonstrating the connection between good health, exercise, and a balanced diet that includes dairy products. 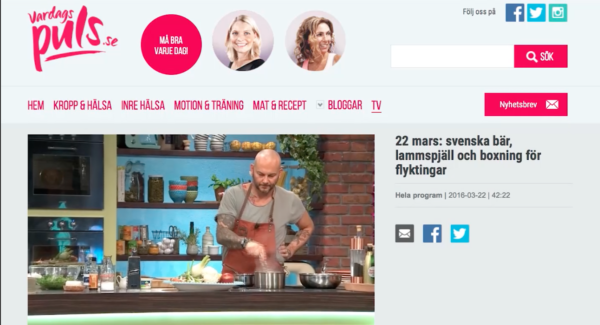 To inspire consumers in Sweden to embrace its vision of a healthier lifestyle, Arla teamed up with Brand New Content on an ambitious content platform called Vardagspuls.se. The heart of the program is the Vardagspuls.se content hub, which consistently publishes enough engaging, informative content to fill the site – and its multiple social channels – with compelling conversations on how to lead a healthier lifestyle. But it’s the associated television program Brand New Content produced for TV4 Sweden (the country’s largest commercial channel) that serves as the booming voice of this content brand, both amplifying the key messages to a massive audience and feeding a large volume of relevant and entertaining video clips back to the site. Takeaway: Take the guesswork out of the distribution process with a strategic channel plan. For Vardagspuls.se’s health-conscious message to resonate broadly enough throughout Sweden to have an impact, it had to be communicated clearly and consistently across each of the initiative’s communication channels – no small challenge considering how many moving parts were involved. But jobs like this can be made a lot easier when you establish a goal-focused channel plan to guide your team’s efforts right from the start. At a minimum, your channel plan[JH1] should outline the content assets you plan to distribute on a particular channel, who you intend to engage, the goals you expect your efforts to achieve, and how you will evaluate your content’s performance. Once you have this basic framework, it’s easier to identify the best outlets for each new piece of content you create and ensure that all your efforts are aligned on the right business goals. Many cultures seem to have their own views on the passage of time. When Irish financial institution EBS wanted to anchor its key message of “anytime mortgage meetings,” the company polled the populace to get a consensus on the meaning of terms like “an Irish minute” (4 minutes, 59 seconds) or “dead late” (a delay of 43 minutes, 39 seconds). 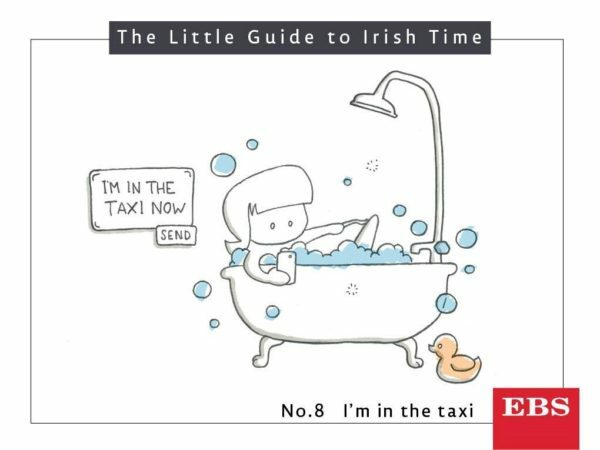 With colloquial quantifications in hand, EBS teamed up with 256 Media to develop a series of humorous time-related content assets – including a Facebook app, infographics, videos, animated gifs, and a series of 12 “Irish Time” illustrations commissioned from Dublin-based illustrator Rob Stears. Not only did the unmistakable Irish voice of EBS’ content entertain and engage its local audience, the campaign translated into some remarkable business results: It delivered more than 14% above the company’s target for mortgage meetings and over 40% above its target for online lead generation, and led to a 40% increase in year-over-year lending. Takeaway: Create shared experiences that your audience will crave. What’s more powerful than communicating in a consistent and carefully cultivated brand voice? Ensuring that it’s a voice that your target audience will relate to. As Scott Aughtmon explains, audiences crave certain types of stories – universally embraced themes that we are emotionally wired to pay attention to, want to make time for, are unable to forget, and want to share with others. This is the kind of content that influences, inspires, and moves people to take action. Incidentally, the call for entries for the 2017 Content Marketing Awards opened a few weeks ago. If you have produced content you are really proud of over the past year, why not throw your hat in the ring and submit an entry? We will honor content marketers in over 90 categories this year – including Agency of the Year, Project of the Year, Marketer of the Year, and a wide range of project-specific creative, strategic, and distribution functions that span print, digital, in-person, and mobile platforms. Not quite sure your work is ready for “prime time”? Register to attend Content Marketing World Sept. 5-8 in Cleveland, Ohio, to brush up on all the latest techniques and best practices that will give you an edge over this year’s competition. Use promo code BLOG100 to save $100.